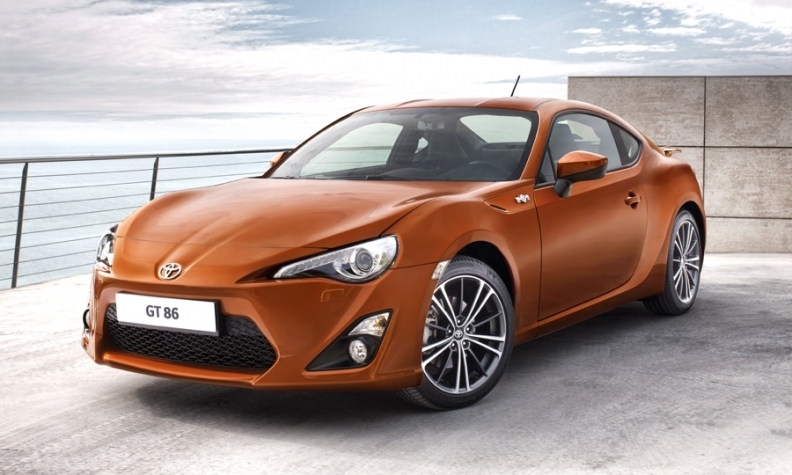 The GT 86 is meant to challenge VW's Scirocco and the Peugeot RCZ in Europe and pep up Toyota's image. STOCKHOLM (Bloomberg) -- Toyota Motor Corp., which was overtaken by Volkswagen Group in global vehicle sales last year, is striking back on the German automaker's home turf. Toyota is rolling out the Yaris hybrid, Europe's first hybrid subcompact, and the image-boosting GT 86 sports coupe this year in a bid to claw back market share in the region after sales plunged 41 percent since 2007. Toyota will further bolster its European business by outfitting its vehicles with diesel engines from BMW from 2014. "It's unacceptable for Toyota to be at this volume level in Europe," Didier Leroy, Toyota's European chief, said in an interview. By cutting management layers to streamline decision-making over the past two years, "we made ourselves much leaner, much more agile. We strongly went for the fighting spirit in everything we do." That shakeup is likely to pay off this year, with Toyota predicting its first profit in Europe in five years. Market share in the European Union is set to rise to 6.6 percent from 5.7 percent last year, while the VW brand slips to 18.2 percent from 18.5 percent, according to data from IHS Automotive. By making gains in Europe, Toyota aims to halt VW's march to become the world's biggest automaker, overtaking General Motors Co.
Toyota lost the top spot last year when disruptions caused by the earthquake in Japan and the lingering effects of global recalls in 2009 and 2010 caused the automaker to drop to third as VW leapfrogged Toyota to become number two. "The real issue for Toyota is winning back customers," said Jonathon Poskitt, head of European sales forecasting at LMC Automotive in Oxford, England. "Toyota really needs to refocus on the requirements of what are sophisticated European customers that already have a great choice in new vehicles." 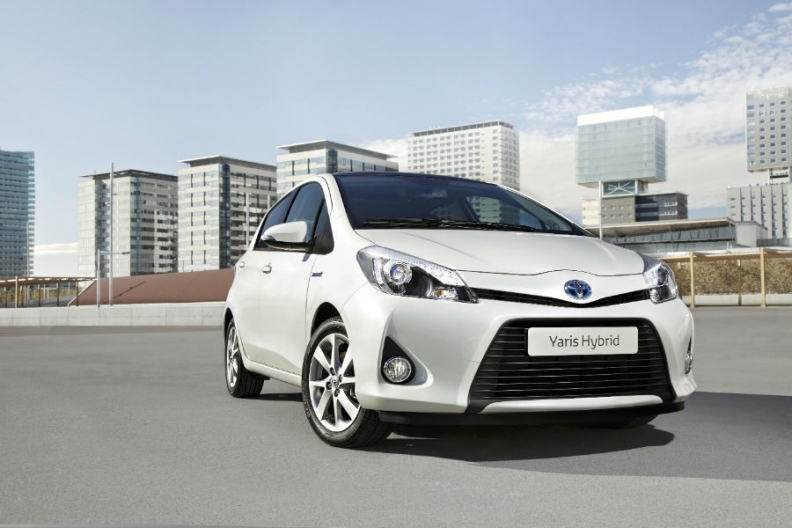 The hybrid version of the Yaris, which competes with VW's Polo, is part of the campaign. Toyota's hybrid lineup in Europe currently comprises the UK-built Auris compact hatchback and the Japan-built Prius. Production on the gasoline-electric Yaris started at Toyota's factory in Valenciennes in northern France earlier this week after an investment of 25 million euros ($33 million). The hybrid variant of Toyota's European best-seller has a 1.5-liter gasoline engine and an electric motor that gives it fuel economy of 3.5 liters per 100km (81 UK mpg; 67 U.S. mpg) and CO2 emissions of 79 grams per kilometer. On the other end of the scale is the GT 86, which accelerates to 100 km (62 miles) per hour in as little as 8.2 seconds and sports a low-slung grill and dual exhaust pipes. The aggressive design is meant to challenge VW's Scirocco and the Peugeot RCZ and pep up Toyota's image. The brand's current models "haven't seemed to capture the customer's imagination," said Ian Fletcher, an analyst at IHS Automotive in London. The GT86 "might be a car that brings people back into the showroom." Still, with hybrids lacking widespread acceptance in Europe and Toyota targeting a modest 15,000 GT86 deliveries in the region, the Japanese carmaker will need to do more to reach its goal of selling over one million cars in Europe, Russia, Turkey and Israel, 20 percent more than its 2012 target of 835,000. Facing tough competition and lacking in-demand technology, Toyota's performance in Europe has declined faster than elsewhere. In 2007, when Toyota's sales reached a record of 9.37 million vehicles, deliveries in Europe accounted for 13 percent of the total. Last year, Europe accounted for 10 percent of Toyota's 7.95 million auto sales globally. "Toyota's strengths are in hybrid cars, and this has led to strong sales in the United States and markets that are sensitive to increases in gasoline prices," Satoru Takada, a Tokyo-based analyst at Toward the Infinite World Inc. "Europe is already dominated by the German carmakers, because diesel cars are popular. Eastern Europe is one area where Toyota may be successful, but every company is targeting those markets, so competition there will be tough for Toyota too." A lift in Europe could come when BMW starts delivering diesel engines to Toyota in two years. Diesel, which is taxed less than gasoline in many European countries, fueled nearly half of the new cars sold in Germany last year. The Yaris hybrid has the same 1-5-liter gasoline engine as the Auris hybrid but it is 20 percent lighter thanks to a more compact electric motor transaxle inverter and battery pack. BMW agreed to supply Toyota with diesel engines in Europe as part of a cooperation pact on research into next-generation batteries. Toyota's thrust in Europe comes as VW makes a push in the U.S., where the Japanese company outsold VW five-to-one in 2011. Volkswagen last year opened a $1 billion factory in Tennessee to build as many as 150,000 Passat sedans a year. Toyota's improved finances in Europe are in stark contrast to some rivals. Ford Motor Co. predicted a loss of as much as $600 million in Europe in 2012. GM lost $747 million in Europe last year and is considering further cost cuts. Even with the improvements, gaining and holding onto customers in VW's home region will remain a challenge. At the Toyota dealership in Stockholm, Johan Lindgren, a 31-year old biochemist who owns a RAV4 sports-utility vehicle, is keeping his eyes open to replace his 2001 Yaris Verso. "My Toyotas have been very reliable and practical," he said. "The design has improved lately but is still a bit boring. For the next one, I'll consider Toyota and other brands."